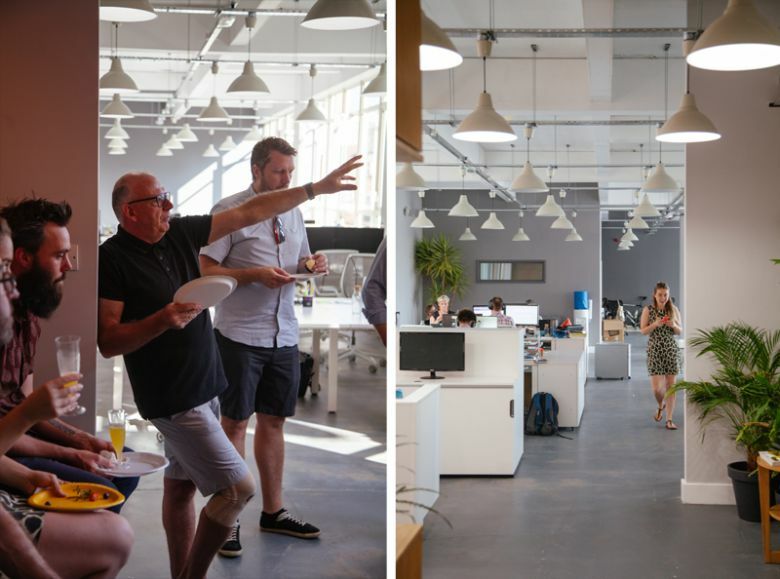 The Further Digital Marketing team were excited to spend their first day in the company’s new offices, at St George’s Works on Colegate, Norwich. 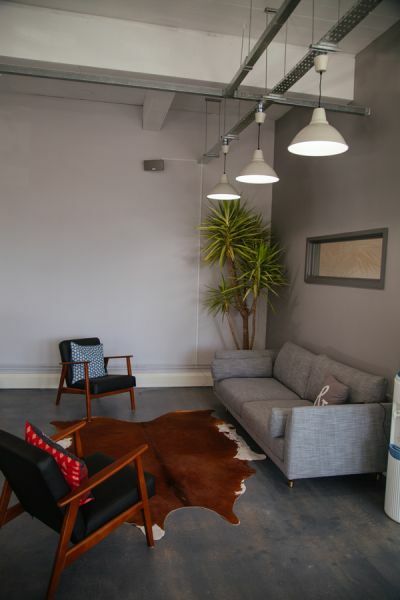 The new space is much larger, giving the company the room it needs to grow. With three new starters joining within two weeks, we were rapidly running out of space at our former offices at The Old Church. 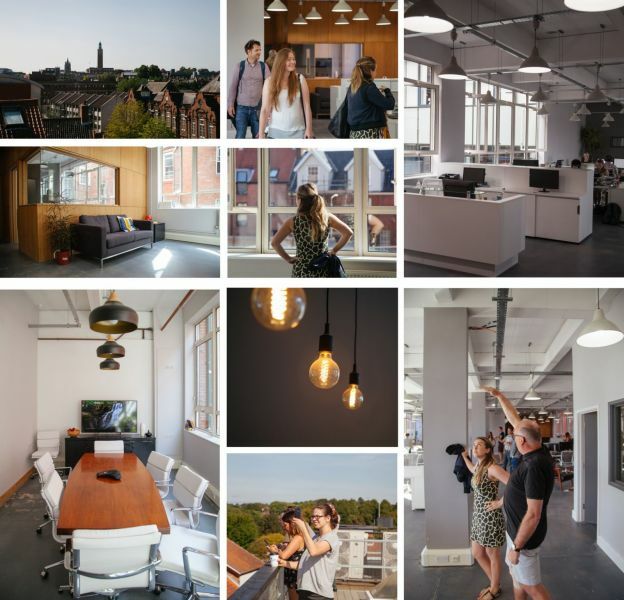 As well as being much larger, our new home is a more collaborative working space as well as having a roof terrace and barista coffee bar manned by Strangers Coffee Company. That’s not all that’s new. Further is also excited to launch its brand new website. We wanted to create something that shows off the expertise, strategic vision and passion within the consultancy. It’s a more engaging and more informative experience, and we can’t wait to find out what people think. “The Old Church did us proud, but this move marks another step forward in the agency’s progression. With new clients, new ways of working and new staff, we’re looking forward to this exciting new chapter in our history. While the street-level entrance building dates from the 1800s, the main part of the office – upstairs and out-back – was a shoe factory built in the 1960s. As such we enjoy big windows, high ceilings and open spaces for collaborative working. Read this interview with Dominic Richards, chief executive of The Shoe Quarter Ltd for more. Congratulations on your new website and best wishes in your new home!